A prophet popularly known as AJ has been summoned by the police after he allegedly brought an unidentified man back to life after having been dead for four days. The Lusaka based prophet was invited for questioning at the Avondale police station in Zambia. 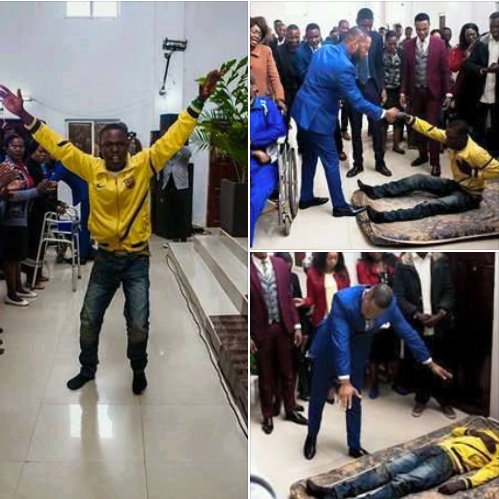 0 Response to "Police Summons Pastor After Allegedly Bringing Dead Man Back To Life (Photos)"